Our vision is a vibrant city with gardens in every corner. During this year's Garden Walk, help grow a more beautiful Buffalo through green space and gardens. Buffalo is a city in bloom, but there is more work to do. Will you join in? As a garden lover, you understand the impact that a beautiful environment can have on a community. Neighborhoods that have gardens are healthier, have less crime, and have more connected neighbors. Small pockets of beauty can make a huge impact. Since its launch in 2005, the Marvin Lunenfeld Beautification Grants have funded over 100 projects including historic garden restorations, community garden enhancements, street-side planters, hanging baskets and more. 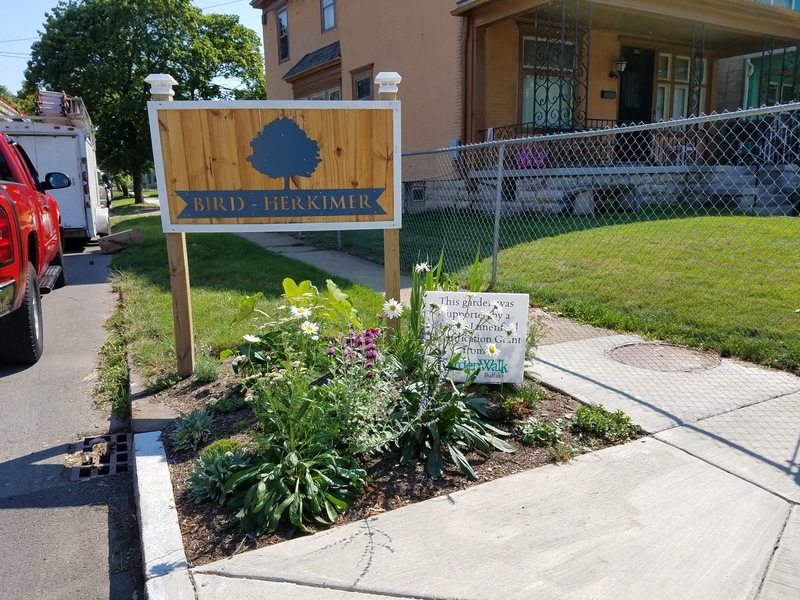 A project of Garden Walk Buffalo, this program is named for the founder of Garden Walk Buffalo, now in its 24th year! Through these grants, urban renewal happens yard by yard, block by block. Projects are chosen for their community impact and creativity, but each year, we receive dozens more worthy applications than we can fund. 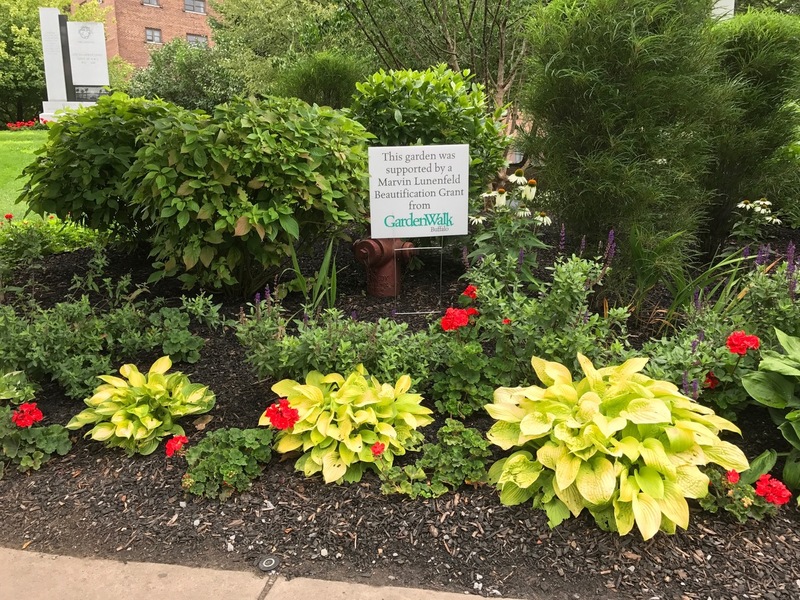 Over Garden Walk weekend, you'll have the chance to enjoy over a hundred past beautification grant projects and to see the way they have reshaped neighborhoods. As you explore, we'd like to invite you to participate in the work of rejuvenating communities in Buffalo. Your gift--no matter its size--will be put to work immediately, expanding the reach of the Lunenfield Grants to build a more beautiful Buffalo. This is your chance to build more vibrant and beautiful communities! Will you join us? Checks are great too! Please mail to Gardens Buffalo Niagara, P.O. Box 296, Buffalo, NY 14213 Please put "Lunenfeld Grants" into the Memo line. Our mission is to create more vibrant and beautiful communities by sharing our gardens. Our vision is a region with beautiful gardens around every corner. Through gardening, we're building safer, stabler, healthier, and better-connected communities. Garden Walk Buffalo, Open Gardens, and other exciting events help us showcase the incredible creativity in our region and work toward continued growth. We hope you will join us.